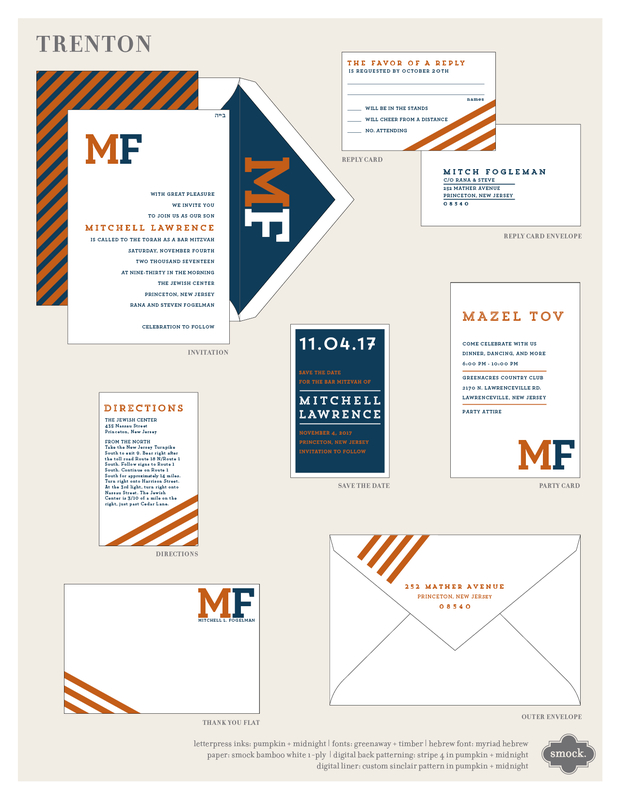 the trenton suite. 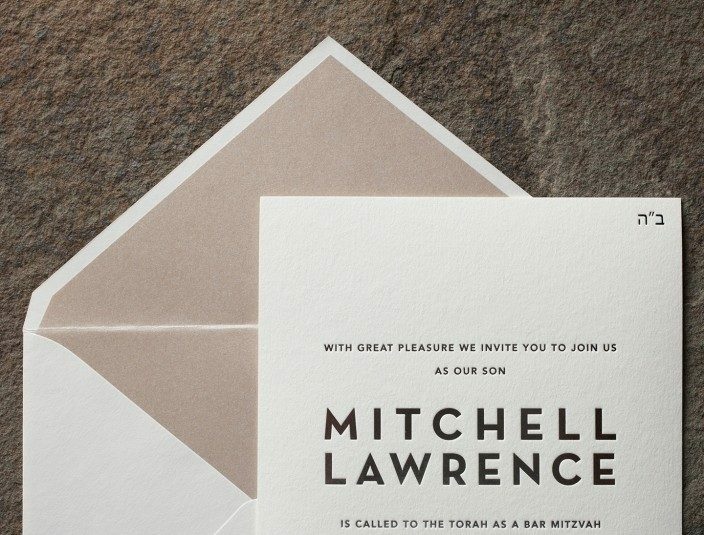 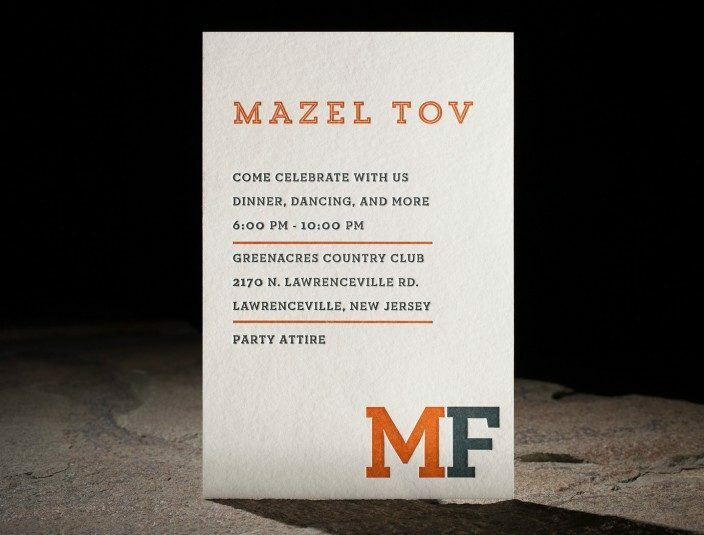 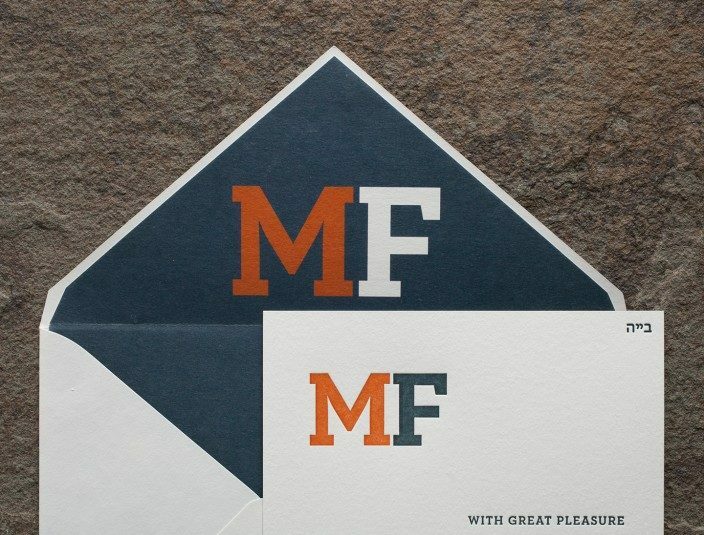 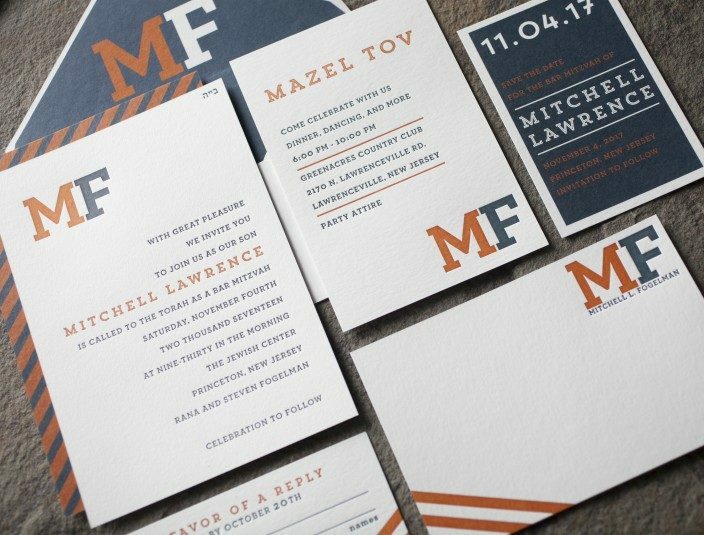 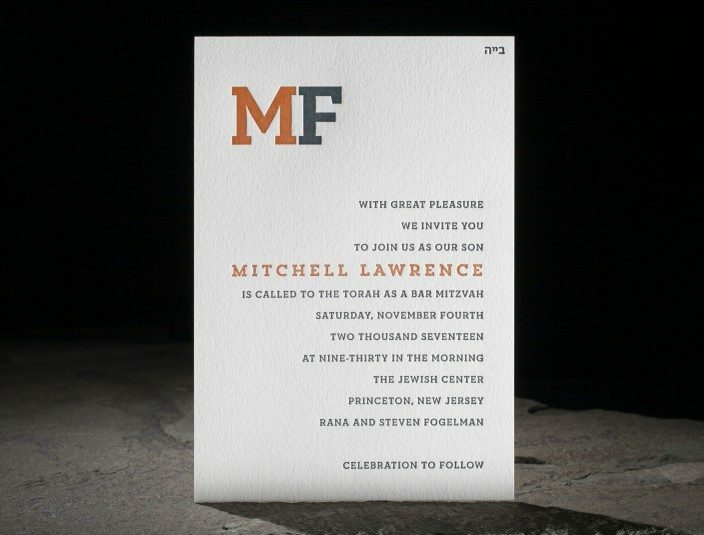 monogrammed letterpress bar mitzvah invitations. 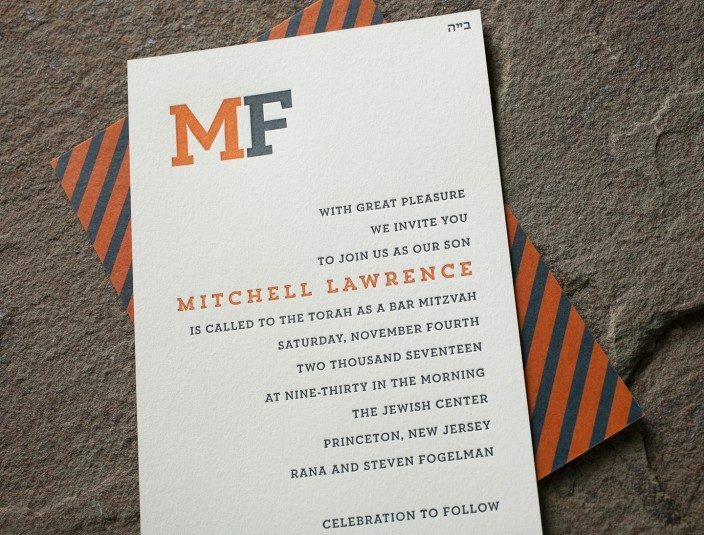 bold, digitally printed back patterning. 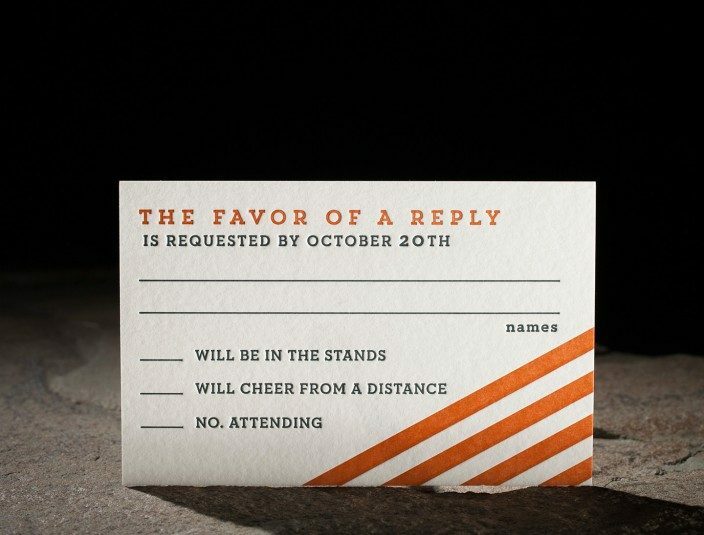 the trenton customization. 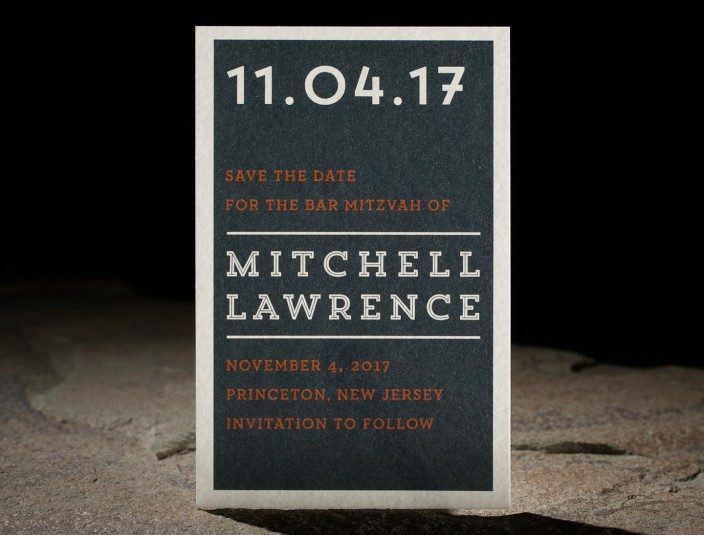 modern bar mitzvah invitations. 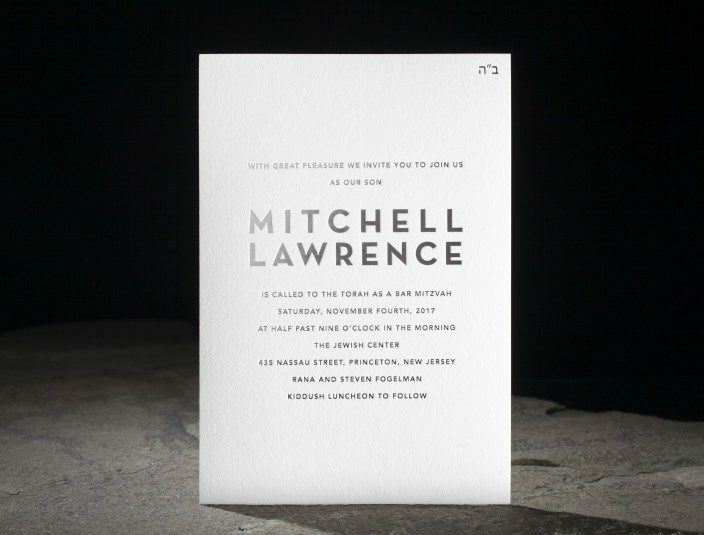 bold platinum shine foil stamping. 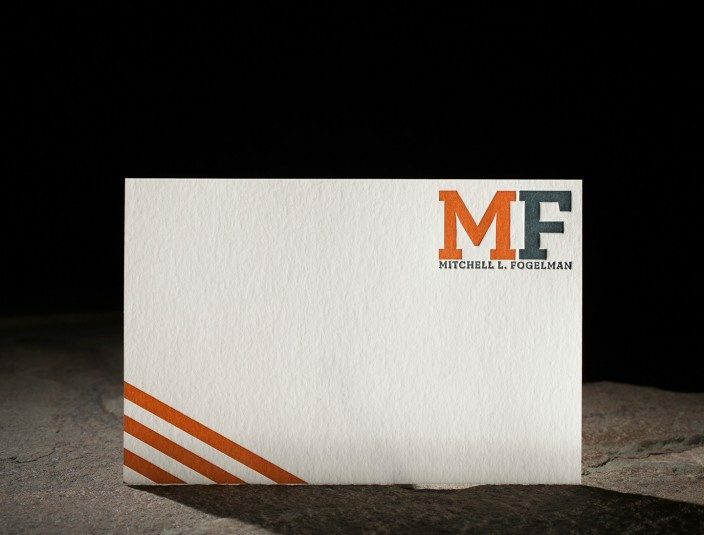 metallic envelope liners.